Our product range includes a wide range of trueklav - flash sterilization autoclave, flash autoclave, fully automatic flash autoclave and dental flash autoclave. We are glad to introduce ourselves as top ranked manufacturers in the field of medical equipment. we emerged as one of the reputed supplier of trueklav - flash autoclave sterilization and till date we have delivered top quality product. 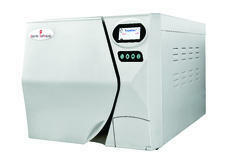 Trueklav the new model of sterilizers has been designed for safe, simple & quality sterilization. this goal has been achieved thanks to the utilization of lab-tested components (electronic control unit, door locking system, vacuum pumps, manifold/electro valves units, various types of sensors) and top quality materials (stainless steel, corrosion-proof aluminum, heat and stress-resistant plastics). In the field of medical, it is always important to avoid any kind of infection due to the bacteria or virus is in the patients. The infected medical equipment is a major cause of such infections in the patients. When it comes to neutralizing the infections in the medical equipment, the Flash Autoclave devices are used at large scale. These devices are made to use the pressurized steam and overheated water to kill all kinds of bacteria and other viruses in the various equipment! Before disposing of any kind of harmful medical equipment that can contain the virus or fungus, it is always important to neutralize its microbiological organisms by using these autoclave devices. 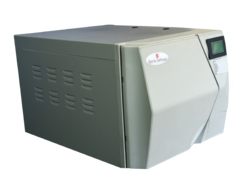 In recent few years, the new models of autoclave sterilizer are manufactured to prevent any kind of help or infection risk due to the bacteria or virus is in the medical equipment. 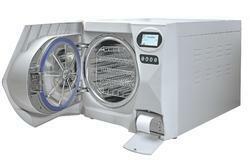 This autoclave equipment is used in medical industry on a large scale. 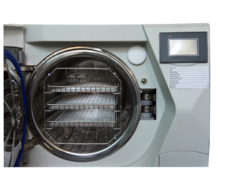 When it comes to minimising the risk of any kind of infection or health problem due to the infected medical tools or equipment, the Fully Automatic Flash Autoclave are very useful devices. This device is much advanced as compared to the normal flash Enclave equipment. It can automatically detect the required temperature and steam pressure to neutralize any kind of medical equipment. In the dental clinics, various kinds of medical equipment and tools are used for the treatment. The dentists always make sure that all these medical equipment and tools are completely bacteria and virus free. There can be various kinds of infections and health risks due to the bacteria and the harmful viruses in medical equipment. In such cases, the Dental Flash Autoclave is very useful equipment to neutralize these kinds of equipment. It can easily kill all kinds of harmful bacteria and viruses by using the heating and steam process inside the device. It is widely used in the medical and dental industries.